California denied Hong Yen Chang a license to practice law nearly 125 years ago. 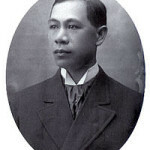 Chang graduated Columbia Law School and received a license in New York through a special act of the legislature, but anti-Chinese and anti-immigrant statutes prohibited him from getting one in California. “Even if we cannot undo history, we can acknowledge it and, in doing so, accord a full measure of recognition to Chang’s pathbreaking efforts to become the first lawyer of Chinese descent in the United States,” the Supreme Court stated in its ruling to award Chang the license. Chang’s family tree of descendants is now filled with lawyers. Additionally, two Chinese-American justices currently sit on the state Supreme Court. Last year, a group of UC Davis law students and professors asked the Supreme Court to overturn the old ruling against Chang. Both the State Bar and the California legislature adopted resolutions backing the request. Prior to Monday’s ruling, two states granted posthumous law licenses to men previously denied because of their race. In 2001, Washington state granted a license to a Japanese immigrant who was denied one in 1902. Pennsylvania did the same for an African American man who was denied a law license in 1847. The Chinese made a large contribution to the founding of our state. Coming from a different background than the Europeans, they were misunderstood. The initial fear of the Europeans to the Asians (Chinese, Japanese, Koreans) has, over time, turned to mutual respect. Please don’t feel sorry for the Chinese for the past. The Chinese don’t feel sorry for themselves. They have persevered just like many other ethnic groups that came to California to start a new life. I take events such as this not to condemn our forefathers but to learn more about the contributions of other races. The Chinese americans have persevered, and thrived despite past oppression. So have Irish Americans, Italian Americans, native americans and many others who were persecuted albeit to a lesser extent. There remains one past oppressed race that has fallen alarmingly behind. If only their so called “leaders” would take their cues from examples like the Chinese. Unfortunately there is No profit in success for the racism peddlers. I believe it is worth a moment of official time to acknowledge and highlight the injustices and prejudices of the past if for no other reason than to surface the inbred bigots of today like Tweekbalmer who are so ignorant as to attempt clever little racist remarks. I doubt this took up too much of the legislatures time and from my view they are pretty worthless and wasteful anyway. My issue with these well meaning acknowledgements is the fact that some groups will attempt to exploit them and demand compensation. There are African-American and Native American and Asian-American groups demanding and in some case receiving large settlements of taxpayer dollars for transgressions from the 19th century. I am not sure I feel responsible for the sins of my forefathers. We obviously have no real problems in California if they can spend hours on stuff like this. Are we going to posthumously grant every slave freedom? Are we going to posthumously grant every indentured servant freedom? Are we going to posthumously convict every slave and indentured servant owner? Are we going to posthumously free every interred Japanese American? Are we going to posthumously grant women and everyone else who didn’t have the right to vote an historical vote? And on and on and on as far back as you want to go and as many injustices as you can conjur up. Get real. It’s long over. I get your point chocoholic. We are governed by fools and since there is nothing they do of any benefit, they resort to symbolism to feel good about themselves, like apologizing to Nagasaki and Hiroshima. It’s beyond silly. Maybe it makes this guys descendants happy. I just wish they would “prehumously” return the money they confiscate from my family each year so they can sit in granite and adopt symbolic resolutions. He would’ve given a new slant on things back then. Congrats to the deserving Chang family and the academia that restored common decency. Really, you think? Frankly, I don’t get it. It was 125 years ago. It doesn’t help the guy, his family or anyone else. It’s just a footnote in a history lesson that noone will probably ever read again after this article. There’s a billion historical wrongs. Are we going to spend our time writing corrections to them now? .